For better temperature fine tuning, an additional voltage regulator can be used to improve the quality of the marking. 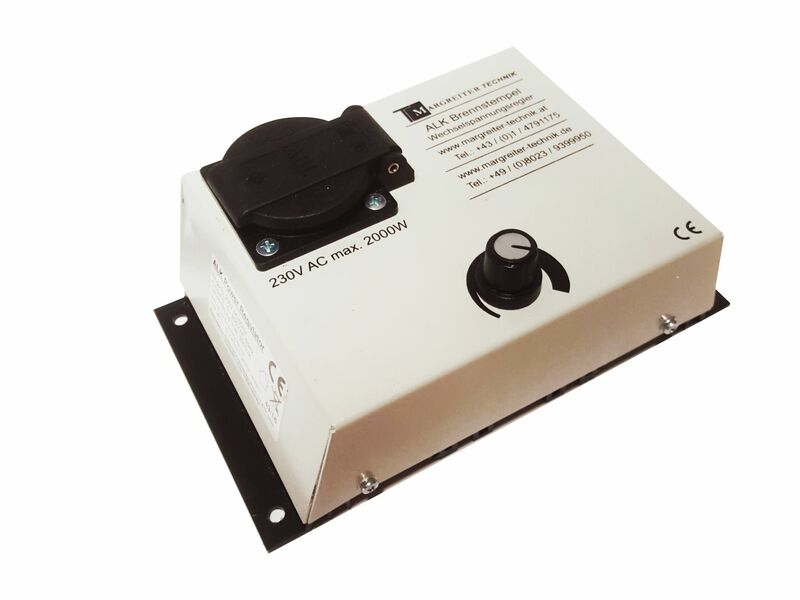 With our voltage regulator, you cannot adjust certain temperatures but only a range of power. 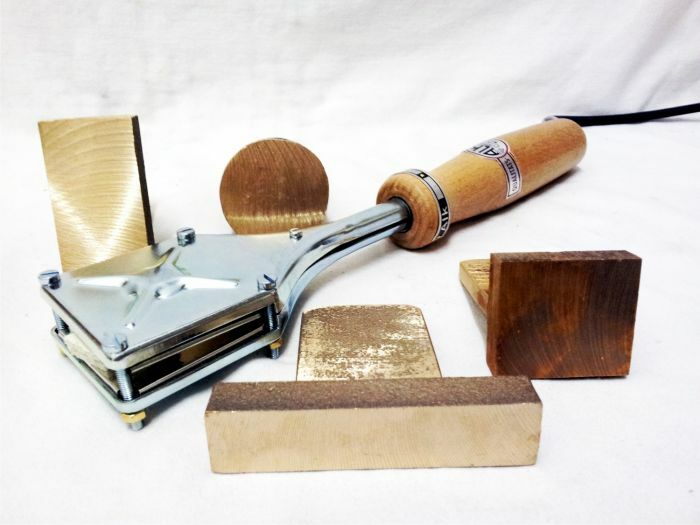 With this tool, you can improve the quality of your impression in wood, for all other material like leather, cork, cardboard we highly recommend this regulator. To every branding iron or to every size there are of course extra branding heads available. In case of damage or loss of the cliché, you can easily order a new one and use the existing branding iron. You can also use more than one cliché with the same branding iron, however, changing of the branding head may cause damage to the heating element. Heating elements are consumeables and can be damaged by incorrect use. To avoid cost intensive repairs, we offer the heating elements as spare parts. For every branding iron and size, there is a suitable and corresponding heater available. All heating elements have the power embossed. This simplifies the re-order of the correct heating element. By old devices we ask you to add a photo of the heater of the order or inquiry. Useful tool for high quality and high volume branding. 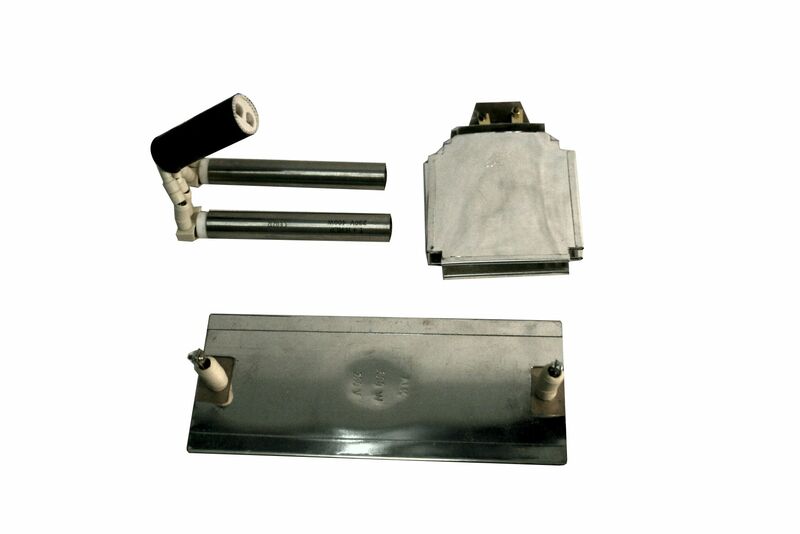 This marking press is available only for branding irons “T”.